EduSports (SportzVillage Enterprise), India's No 1 school sports organization, has announced its partnership with the One Million Hockey Legs. EduSports (SportzVillage Enterprise), India’s No 1 school sports organization, has announced its partnership with the One Million Hockey Legs to offer high quality after-school coaching for Hockey across India. Under this partnership, One Million Hockey Legs will provide technical support to EduSports to run after-school high-performance Hockey Academies across India. One Million Hockey Legs will support EduSports in designing technical content and curriculum; including age appropriate lesson plans, tools and resources for the grassroots. The partnership will also help in building capacity of the EduSports and partner school coaches through training and certification in Hockey. One Million Hockey Legs is a Dutch – Indian project initiated by the Dutch and Indian Government by signing a Memorandum of Understanding concerning sports development. One Million Hockey Legs works in close cooperation with local organizations, association and NGO’s like the national, state and local hockey associations and academies. The partnership will help in identification and certification of EduSports hockey coaches and also provide technical support to EduSports to run Hockey Academies across India. Commenting on the partnership Floris Jan Bovelander, One Million Hockey Legs said, “Indian hockey is on revival. 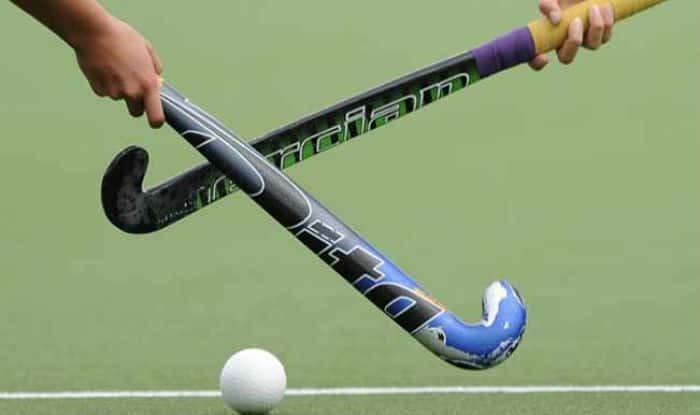 The national teams are doing well, the president of Hockey India is elected President of the International Hockey Federation and we as One Million Hockey Legs are excited to see the enthusiasm of the children at schools. Really happy to boost this further together with EduSports at their schools.” Floris Jan Bovelander is a former field hockey player from the Netherlands, who was a member of the Dutch national squad that won the gold medal at the 1996 Summer Olympics in Atlanta. EduSports has been instrumental in making a fundamental change to the education system by getting schools to adopt a curriculum-based, age-appropriate and structured Physical Education (PE) and sports program. Working with over 650 schools and covering over 5 lakh children, EduSports brings an inclusive and positive sporting experience to every child across the country. With their strong understanding of sports and PE, they are constantly innovating to enhance the sports experience for children and are making sports affordable, accessible and scalable across the country. The partnership with One Million Hockey Legs is a step further in that direction that will lay the groundwork to develop hockey at a grass-root level.